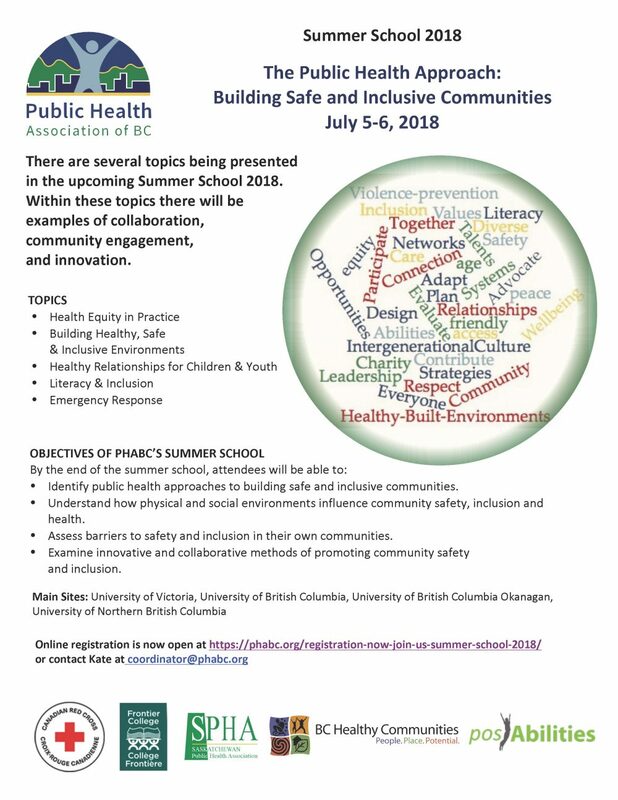 This two-day workshop held by Public Health Association of BC is designed to help you identify public health approaches to building safe and inclusive communities, understand how physical and social environments influence community safety, inclusion and health, assess barriers to safety & inclusion in their own communities, and to examine innovative and collaborative methods of promoting community safety and inclusion. Don’t miss your chance to learn how you can help to create safe and inclusive communities while networking with like-minded individuals across the province and beyond! Locations for the summer school include the University of Victoria, University of British Columbia, University of Northern British Columbia and the University of British Columbia: Okanagan. A videoconferencing connection will allow all four main sites to actively participate in the full summer school experience.